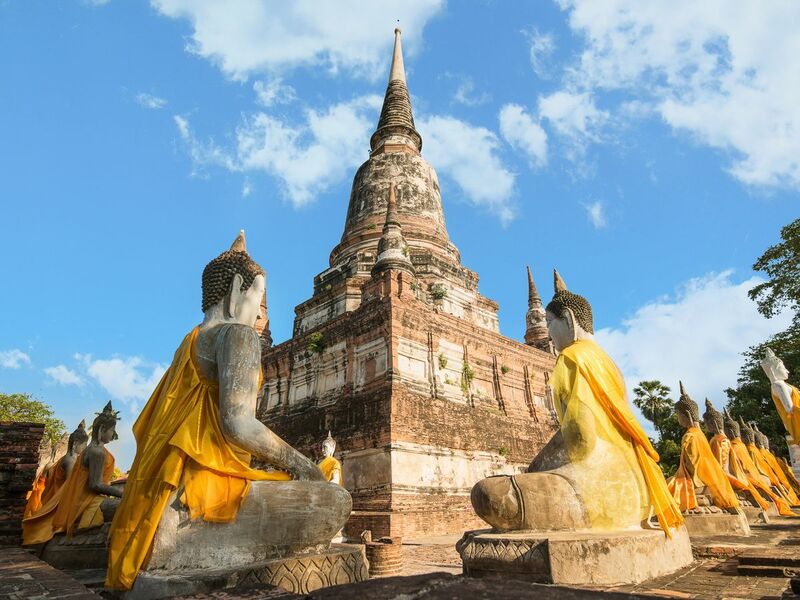 Let's spend your time to learn about the history of Ayutthaya and pay respect to the Buddha, see his footprint, see the beautiful of 500 golden pagodas and explore inside the cave where the beautiful hanging rocks are located! Let's start exploring Ayutthaya! Feel free to choose the place where you would like to visit e.g. Wat Yai Chai Monkol, Wat Ratcha Burna, Wat Phra Si Sanphet. We'll be leaving Ayutthaya and let's head to Saraburi. Visit Wat Phra Phutthabat, the famous temple where the Buddha's footprints are located in Thailand. Explore the cave named "Tham Phrathat Charoen Tham" or "Fish Pond Cave", where you will find the beautiful hanging rocks and other things. TIme to bring you back to the hotel, and the trip ends here. Thanks for joining me. Toll way / Express way fee are responsible by Travellers : 600 Thai baht per trip if hotel pick up while 400 Thai baht per trip if MRT/BTS pick up.